While we like to think of our favorite authors writing leisurely by day and counting their sales numbers by night, the reality is much different. Even if every author were lucky enough to make James Patterson money ($95 million a year, natch) treating writing like a 40-hour a week job may not be viable. Here are five of our favorite authors and the side hustles that sustained them. Until recently, Samantha Irby worked as an administrative assistant at an animal hospital in Chicago. And she worked there for fourteen years. “I really loved the job, but I’m really happy to not be doing that,” she told Angela Ledgerwood on the podcast Lit Up earlier this summer. Even a year after leaving the animal hospital, Irby is adjusting to writing being her full-time gig. “Every day I’m like ‘I should go apply at Walgreens to see if they need cashiers.’ Because I’ve worked for so long. I do not like the feeling of not punching a clock. That’s why I did all my writing on the side for so long.” But writing isn’t the only job demanding Irby’s time. She’s working with Broad City’s Abbi Jacobson and Inside Amy Schumer’s Jessi Klein on an FX series based on her debut Meaty. Plus, her readers will certainly be hungry for more hilarious essays after We Are Never Meeting in Real Life. Did we mention Brie Larson is recommending it? 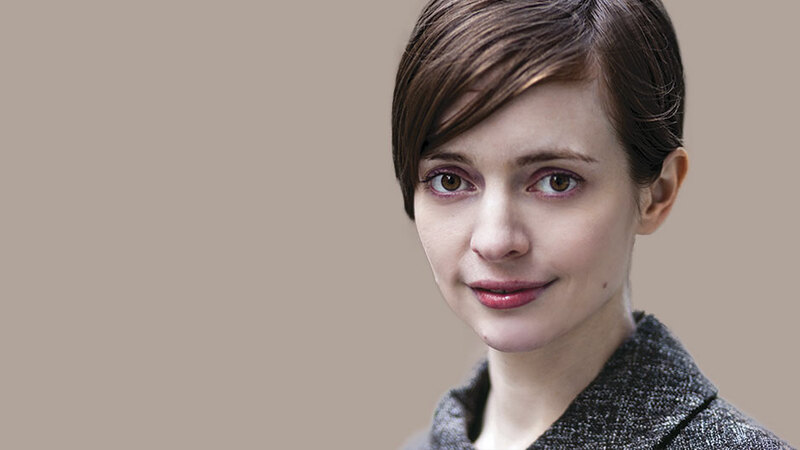 Until 2015, Emily St. John Mandel of Station Eleven fame worked as an administrative assistant in a cancer research lab. As a novelist and a staff writer for The Millions, Mandel’s workload was becoming too demanding to keep the job in the research lab as well. But in many ways, she never thought this day would come. In 2009, Mandel wrote a piece about writers and their day jobs for The Millions titled Working the Double Shift. While the piece is about other writers – notably Elise Blackwell and Jason Quinn Malott – she does find a moment to insert her own career into the story. “[F]or all my longing to write full-time,” Mandel writes, “I have every expectation that I’ll need to hold a day job for the duration of my life. I imagine most of my writer friends will have to work forever too, except for that one guy with a trust fund.” We’re personally thrilled that Emily St. John Mandel can focus on her writing full-time, but her honesty about her own day job has helped other writers have these uncomfortable and necessary conversations about money. But interesting and unrelated work isn’t just restricted to authors writing today. Dracula’s own Bram Stoker worked as the acting manager and, later, business manager of the Lyceum Theatre in London for 27 years. In a relationship that began collegial, Stoker became friends with the theatre’s owner Henry Irving, the most famous actor at the time. This friendship fast-tracked Stoker’s rise to London’s high society, where he met novelists Sir Arthur Conan Doyle and Hall Caine. Stoker later became very close friends with Caine, eventually dedicating Dracula to him. Virginia Woolf not only wanted A Room of One’s Own, but also a publishing house of one’s own. Together with her husband Leonard, Woolf founded and ran Hogarth Press starting in 1917. The publishing house that put out Dostoyevsky’s The Devils (translated by Virginia Woolf herself!) and T.S. Elliot’s The Wasteland is now owned by Penguin Random House, known simply as Hogarth. Modern day fans of the Woolf press can find her mark on books like Conversations with Friends by Sally Rooney and Woman No. 17 by Edan Lepucki.